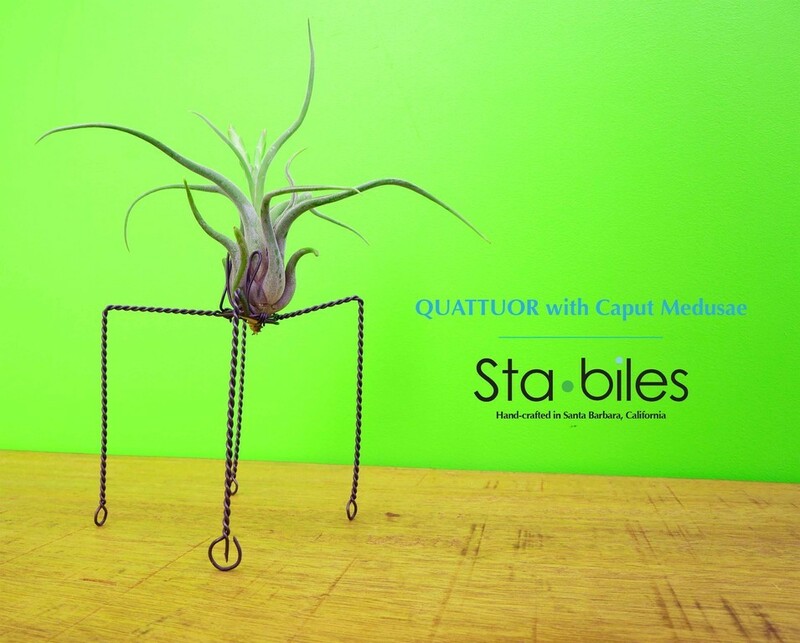 Quattuor is our four-legged single wire sculpture which takes your imagination to a unique place. 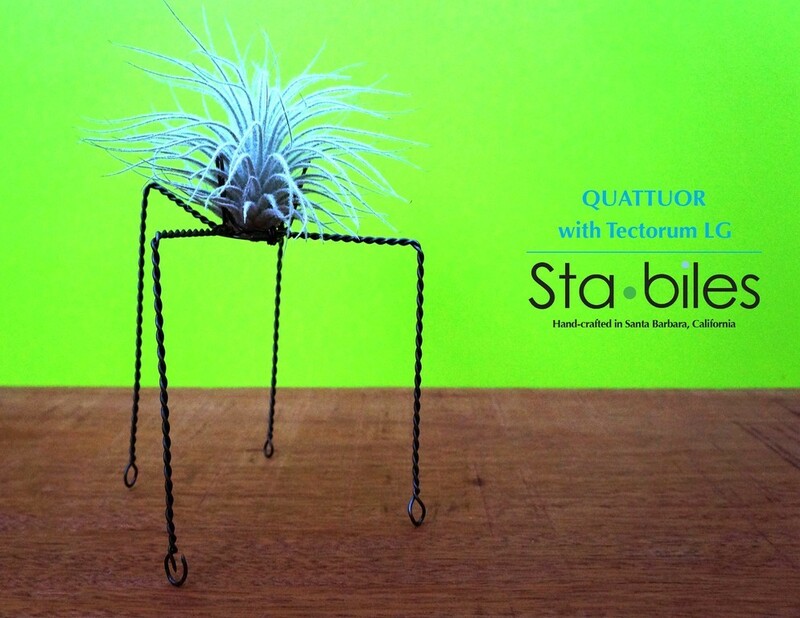 The idea was to interpret some creative extensions that the Tillandsias have been missing. 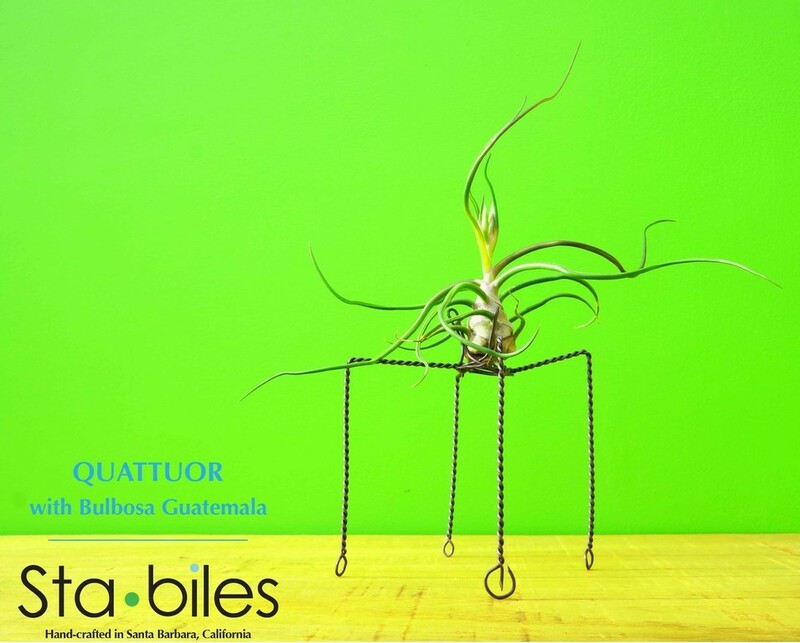 “The air plants are so lively, and are screaming for more of a presence, so I gave them legs and movement”(Samuel Guzmán). 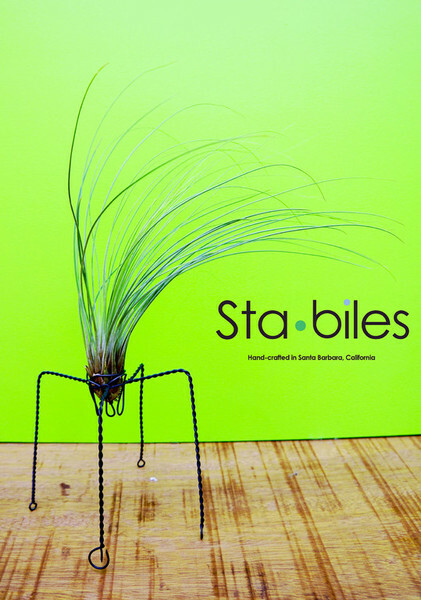 All sculptures are sold in single units and include one air plant.